There are often times as an adult when you are not entirely sure how to talk to a child about a certain topic. As a teacher, and especially now as a parent, I have learned to turn to books for assistance. Whether trying to help a child understand about a new sibling, moving, or even death, books offer an amazing resource for children of all ages. When my grandfather was very ill, in the winter/spring of 2007, NHL was only three years old. NHL loved going to see Papa S. They would make animal sounds together, eat ice cream and just watching people come and go outside in the courtyard. As Papa S’s health declined quickly, we knew that we had to talk to NHL about death. The first thing I did was e-mail my librarian friend to see if she could recommend book titles to use with NHL. We picked up a bunch of books at the library just in time to read them when my grandfather passed away. These books were beyond helpful. They not only broached the subject that was hard, but opened up the lines of communication. To this day, NHL still recalls items from those books. We have also used books to help with emotions/behavior in the past. Recently, I was contacted by Joy Berry Enterprises and asked if I would like to review some of Ms. Berry’s books with my children. As an educator, I had seen some of her books in classrooms, but had never used them with my own children. 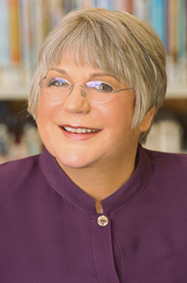 Joy Berry, pioneering educator, trusted child-development and parenting specialist, is the bestselling author of Joy Berry books for children with more than 250 titles and 85 million copies of her books sold. Joy Berry’s lifelong mission is to help kids help themselves by providing he information and motivation children need to lead responsible lives. Simply put, Joy Berry knows kids! "Children should be 100% responsible for all of their choices and decisions by the time they are 12 years of age." Joy Berry says, "In order for this to happen, parents need to encourage their children to make as many choices and decisions as possible as early in their lives as possible." Winning Skills, for Ages 11-12: Get Over It!, Work It!, Go For It! Within each of these series, there are 18-29 books that cover most major topics that a child will encounter within that age range. We decided to try the Help Me Be Good Books with NHL. The normal egocentricity of young children often leads to misbehavior that evokes negative responses from others. These negative responses can lead to a destructive cycle of negative action and reaction. The purpose of the HMBG products is to break the cycle of negative action and reaction. This is accomplished by helping children replace misbehavior with acceptable behavior. Now a 6 year old in first grade, NHL has learned some "interesting" and sometimes negative behaviors that need to be addressed carefully now. As a teacher, I know that if done the wrong way it will only increase the frequency of said behaviors. We were sent the following titles: Being a Bad Sport, Throwing Tantrums, Being Bossy, Showing Off, Interrupting, Overdoing It, and Lying. I had seen some of Joy Berry’s books in classrooms that I have taught in before. This was the first time I had used them with my own children. I really like the way the books define what the book is about. First, you meet a character and are told that he/she is going to help you to understand and deal with said behavior. The books do just that. On the left page of each book is explanations about what may be an example of lying, being a bad sport, throwing a tantrum or so on. The right page has an illustration using the character you met and often dialogue with others dealing with or fixing said behavior. Over Thanksgiving weekend, we were at my Aunt and Uncle’s house for Shabbat. They decided to take some games out. NHL was teamed up with Aunt S against Aunt A. The game involved a lot of strategy and planning. NHL is learning about this in chess, but at six is hard for him to understand completely. At one point he had a melt down and wanted to quit the game. He felt he was losing and was done. We all tried to explain to him that you have to do your best and you can not win every time. That next day, I found the Joy Berry book about Being a Bad Sport and Tantrums and pulled them out. It was the perfect time to address this topic and discuss how it connected to what had happened the previous day. NHL was actively engaged in the book. It allowed for nice ideas to flow from both of us. Rather than a lecture about good behavior, it showed both sides of the puzzle and how a certain behavior looks on your end and the other side. Ms Berry also shows how to change to a positive bahavior and how this will be rewarded with peers and beyond. I would highly recommend Joy Berry’s books to other parents to use with their children. My only complaint was I wish we had other books from the collection as things have cropped up. If we had had the entire collection we would have been able to use the CD that has the songs at the end of each book. I imagine that they would really help to bring home the message of the books in a catchy and fun way for children. Now we are thinking about purchasing the Do-It-Yourself Potty Training Kits for Big Boys to try with JSL. Thank you to Ms. Berry for writing these books and helping children (and parents) for over 30 years and many more to come! Disclosure: I received the 7 Joy Berry books mentioned above complimentary of Joy Berry Enterprises in order to facilitate this review. no other compensation was given. The opinions expressed in the review are my own feelings about the product that I tried.